Legendary role-playing game to hit iPhone and iPod Touch first, Android possibly to follow. 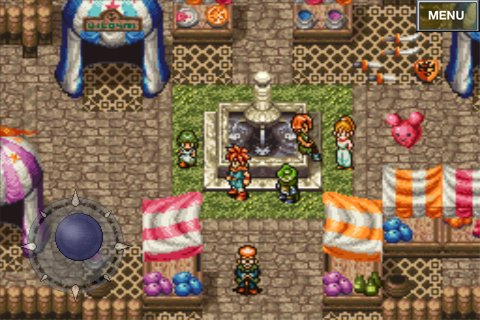 Most RPG fans consider Chrono Trigger, originally released on Super Nintendo in 1995, to be one of the greatest video games of all time. That said, Square Enix plans to release this celebrated classic on iPhone and iPod Touch sometime in December, with an Android port likely. The game features touch controls, along with support of eight languages (Japanese, English, French, German, Italian, Spanish, Simple/Trad Chinese). 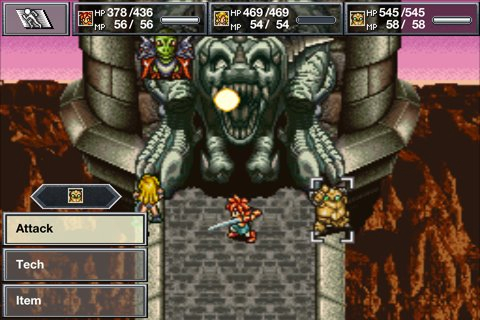 Aside from those subtle changes, it's the same Chrono Trigger you may already know and love, just pint-sized. No word on price, but considering Square Enix's recent App Store releases, we expect it to sell in the $9.99-$16.99 range.